Wanting to explore the amazing city of Santiago or perhaps some of Chile's amazing rural outdoors with a group of friends? Group travel to Chile is an economical and practical way to explore this beautiful country. Whether it's hiking on glaciers or mountains to the south in Patagonia, or just hanging out in the glow of Santiago's cosmopolitan charm, your group will have a blast. And why not take the people you know and like when traveling so far to experience such an atmospheric destination? When planning your Chile trip, if you have enough people in the group, you as the host may be able to travel for free. Hotels and airlines provide free arrangements as a thank you for being the organizer of your group. Considering that Chile has so much to offer spread out over a large area, you may be tempted to plan a full and aggressive itinerary. The most successful travel itineraries ensure that everyone has plenty of free, unstructured time on their own to pick and choose the excursions that most interests them; of course, this can be balanced with events perfect for groups. Every group has different needs and interests, but a good itinerary will understand that and take everyone on the trip into account. Stretching hundreds of miles north and south along the Pacific Ocean, Chile is a country of great diversity in terrain and geography from desolate moonscapes to glacier-fed fjords, from the northern deserts to fertile wine lands and lush mountains and rainforests. The major cities have a European feel with lively neighborhoods, great shopping for antiques, alpaca sweaters or rare lapis, and fine eateries featuring fresh shellfish and the national drink, Pisco. 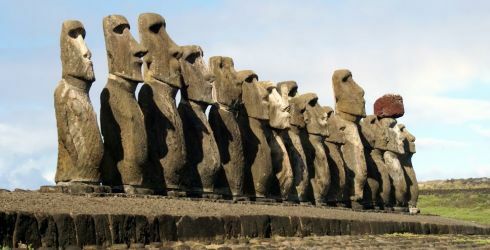 View the complete day to day Chile: Santiago, Wine Country, Easter Island.